Did you know that Loofah sponges come from a plant? Like, a plant you can grow in your own backyard? I didn’t know that until a few years ago. When a friend showed me that she had grew it, I was excited to try it myself. 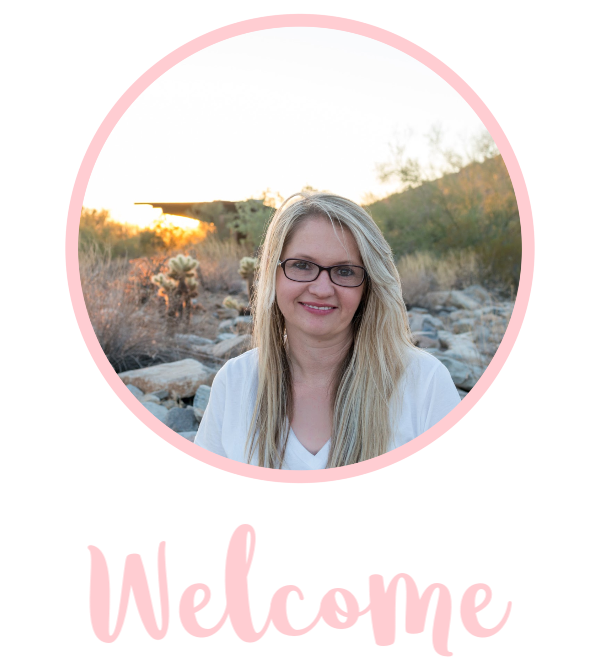 I’ll share how to grow your own loofah from seeds right in your backyard! 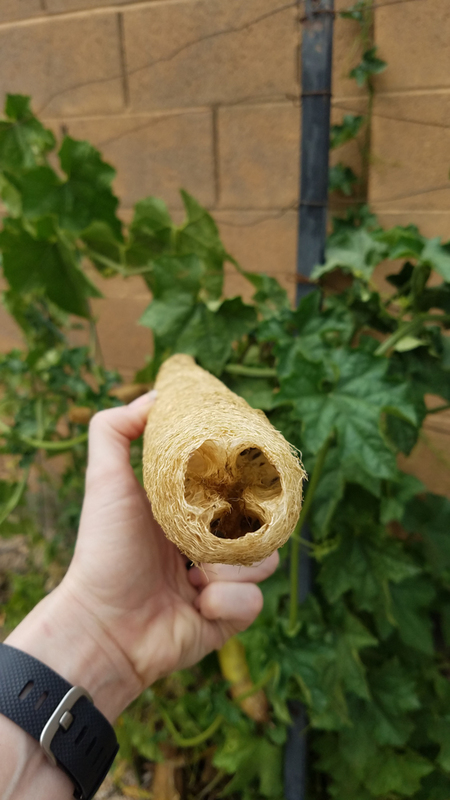 Here’s our experience with planting loofah in the Phoenix desert. 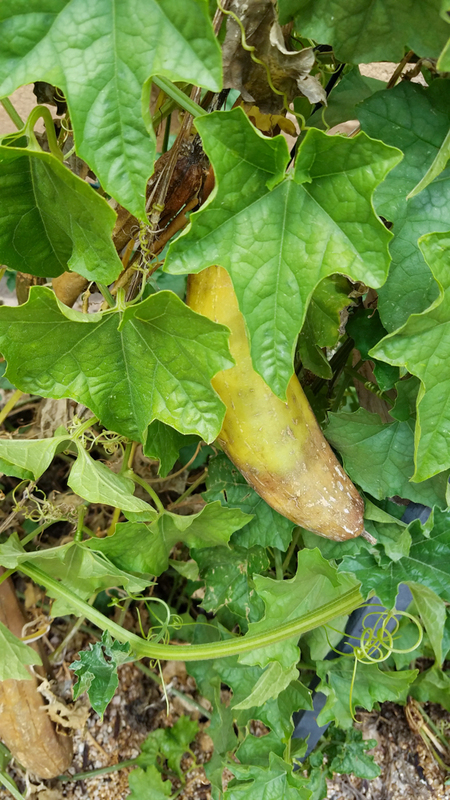 Last Spring we planted loofah seeds and well nothing really happened.1 out of the 3 seeds germinated and the one was a small plant and then when the summer heat died down, the plant took off. One plant grew to be about 3 feed wide and grew taller than 6 feet until we brought it down to a smaller trellis. 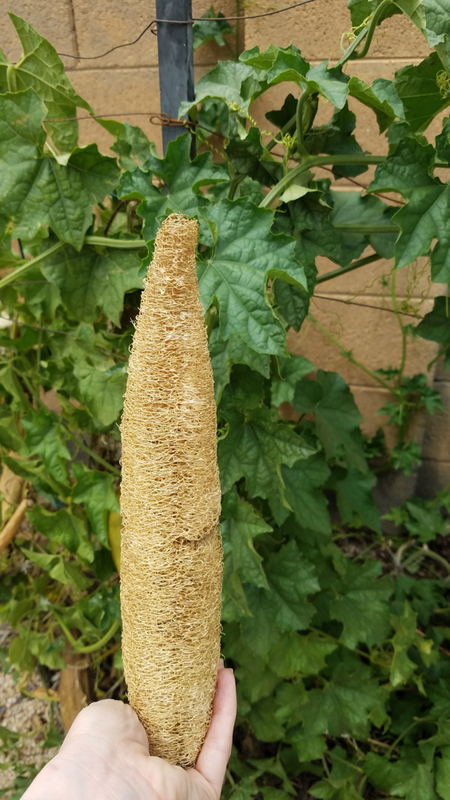 The plant produced about 12 loofahs. To plant your own loofah, buy seeds to plant. I bought these seeds on Amazon and they worked great. You really only need 1 seed for about every 3-5 feet. 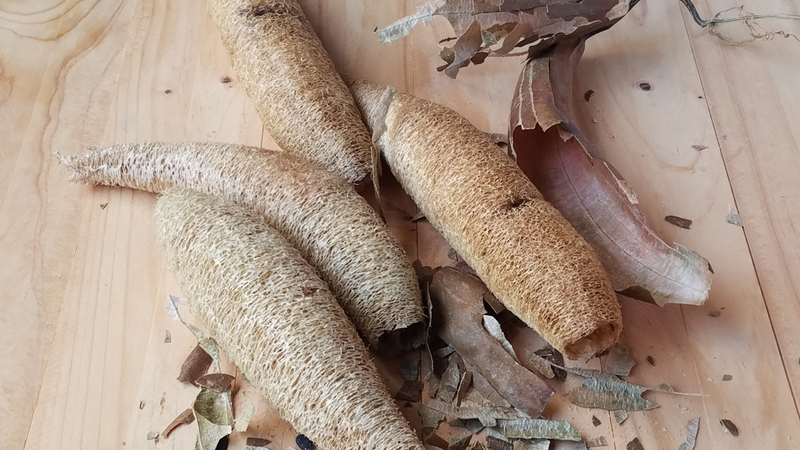 You also don’t need to buy a large amount because each loofah produces dozens of seeds that you can use for future plants. The plants will need to vine so make sure you have a trellis of some sort. They started to vine on our brick wall but the fruits are too heavy to hold on there. After they vine they will start to produce the flowers then the rest is up to nature! Once they start to produce, they will typically grow up to 12 inches. Sometimes smaller or sometimes a little larger. They will start out green as they grow on the vine. To harvest them, let them brown on the vine. You can remove them when they are green but they need to dry before you can peel them open. You can peel them when they are green but that will be a tough job. If they need to dry out after you peel them, let them dry outside in the sun. Some people bleach them if some spots darkened or got a little moldy. Simply spray with bleach, wash then air dry outside in the sun. 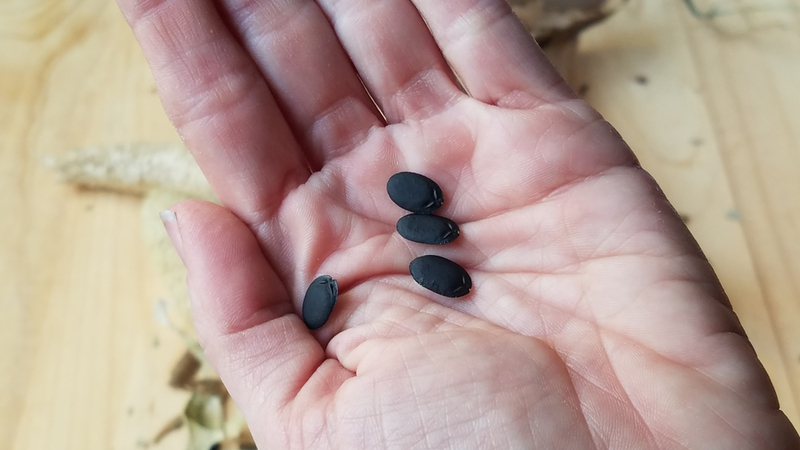 Once they are dry, you’ll shake out the loofah and get these black seeds. Save them so you can plant them and grow more vines! As for the loofah, you can cut them into different sizes to use. You can use them as personal sponges, dish sponges, vegetable sponges, etc.